"Studies have found that a significant benefit also occurs for people when dealing with hospitals, illness and the health care system if they are able to legally marry," says A/Prof Brassil. "It is time for marriage in Australia to be open for everyone. LGBTI Australians deserve the right to marry the person they choose and to celebrate that." "Family Planning NSW is an LGBTI-inclusive organisation. We work with LGBTI young people, people with disability and parents to ensure they have access to the best reproductive health services," says A/Prof Brassil. 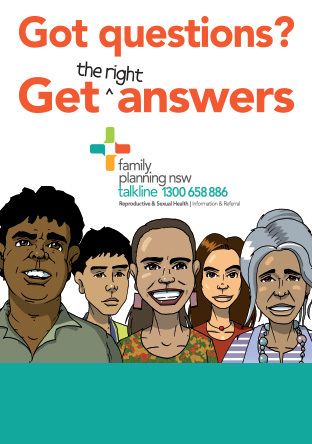 "Family Planning NSW is the state's leading provider of reproductive and sexual health services. We are experts on reproductive and sexual health and provide clinical services and health information to all people throughout NSW and it is in this context we support equal marriage."